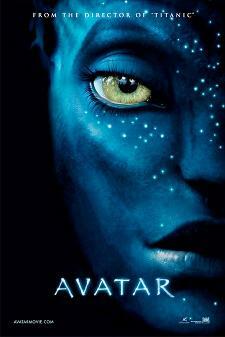 Obamas Watch ‘Avatar’ on New Year’s Eve: First family gets theater all to themselves for James Cameron’s latest. *President Barack Obama took his wife and kids to see “Avatar” Thursday morning at a movie theater near their rented vacation home in Hawaii. According to the Associated Press, the screening room was cleared out for just the first family, who left their compound before noon. In director James Cameron’s sci-fi epic, a paraplegic ex-marine war veteran is sent to establish a human settlement on the distant planet of Pandora, only to find himself battling humankind alongside the planet’s indigenous Na’vi race. Before the screening, Obama, a self-described movie buff, worked out at the Marine Corps base nearby. Previous ArticleBET Wraps It's Best Year Ever: Network scored double digit ratings gains in key demos. Next ArticleAAFCA Encounters Ballot Tampering Controversy: Accusations stem from Best Actress Award going to 'American Violet' star instead of 'Precious' entertainer.